Nunavut is blessed with a wealth of mineral resources and, for anyone willing and able to work at one of the territory’s mines, there’s no shortage of well-paying jobs. Yet the territory also has widespread unemployment: about 9,000 of the territory’s 38,000 residents—or nearly one in four—are without jobs. “When you add up all the numbers for these operating mines right now and their plans for expansion, and you add up all the empty boxes in the GN, you come pretty close to 9,000. 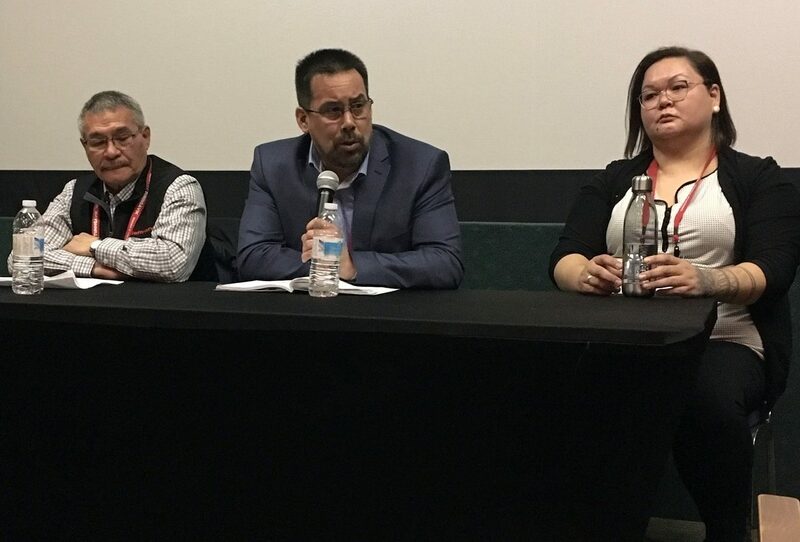 There’s no other place in the planet with that kind of job availability,” MacIsaac said during a public forum that he moderated at the Nunavut Mining Symposium in Iqaluit on Tuesday, April 2. Joining him were representatives from the territory’s operating mines, who shared some lessons learned and big challenges that remain for boosting their numbers of Inuit employees. Working at a mine camp is a big adjustment for many young Inuit. Workers typically fly in for two-week stints and then get the following two weeks off. While at camp, they wake up at 5:30 a.m. and work for 12 hours a day. Tigullaraq himself has gone through a big adjustment, after joining Baffinland in 2001. He’s known to many for his past role as chair of the Nunavut Wildlife Management Board. “A lot of people who know me say, ‘Now you’re on the other side’—meaning I was no longer pro-environment, and possibly going against it. At first I became very uncomfortable with that,” he said. But, as a supervisor told Tigullaraq, “You may be working for a company, but you’re in a good position to help Inuit in the north Baffin communities as well,” he said. As the number of Inuit Baffinland employees grows, Tigullaraq said he’s seeing a lot of all-terrain-vehicles, skidoos and new trucks headed up to North Baffin communities. Recruitment begins in the communities surrounding Nunavut’s mines, where companies have community liaison officers based to explain job opportunities, answer questions and hold information sessions. For Agnico Eagle Mines Ltd., prospective employees then take a work-readiness program for five days in their home community, said recruitment co-ordinator Kyle Lebofsky. That’s followed by a week-long visit to the company’s Meadowbank mine. While there, prospects get an idea of camp life and try out different jobs. Those who do land entry positions are later given opportunities to advance to different roles as they gain experience. Some are happy to remain in entry-level jobs, while others climb the ladder, such as one Inuit employee who is now certified to operate one of the biggest mining excavators in the world. “It’s really giving the employee control over their own opportunities,” said Lebofsky. Company representatives agreed on the importance of cross-cultural training, for Inuit and southern workers alike. “Just because you aren’t hearing from an Inuit worker doesn’t mean everything is OK,” said Alex Buchan, vice-president of corporate social responsibility for TMAC Resources Inc. Supervisors need to know this and be trained to probe for problems, he said. Companies also need to “create space for people to speak comfortably,” he said. “There have been so many times I’ve seen Inuit quit over problems that could be easily solved,” Buchan said. Little things can also make a big difference, said Olivia Tagalik, a human resources agent for Agnico Eagle Mines. It’s also important to expose Inuit workers to southern cultures, Tagalik said. With many workers from Quebec, Agnico Eagle has held sugar shack themed nights in the past. Many challenges faced by mining companies seeking to recruit Inuit lead back to Nunavut’s tangled knot of social issues. Low education rates limit how many Inuit are able to hold more senior, better-paying jobs. Residents with criminal records, particularly those who have committed violent crimes, will have trouble being hired at a mine. Difficulty in finding child care can be another challenge. As well, schools could do more to expose students to the opportunities that a career in mining could offer them, said Buchan. “A lot of the time when you ask a high school graduate what they plan to do, it’s only NS,” he said, referring to the Nunavut Sivuniksavut college program in Ottawa. Work ethic starts at home and early. It is up to your Parents to discipline your Children to go to bed at an early time, finish your homework, every night, work with them, ensure they get a good nights sleep, wake them up, on time every morning to get to school (every day) and help them start and succeed early. I had my first job when I was twelve years old stocking shelves at the Coop. Nothing in this life is free, except good advice. 9000 jobs at $75,000/year equals $67,500,000. That is a huge amount of lost wages, that could increase each year with advancement. We need families to understand the importance of a good education if we as a society want to advance. And we need school community counsellors to guide the students on the right type of education to take for the career plans that they have. 9000 x $75,000 = $675,000,000. which makes your point even more. Interesting to see that investment in North Baffin communities is on the rise; lots of ATVs, skidoos, and trucks. Really speaks to the long term housing issues Nunavut should be held responsible for. The opportunity to provide oneself with one’s own housing is put on hold for the purchase of depreciating assets. Good job! Just exactly how important is cross-cultural training? Joe being an Inuk says the right thing about AN Inuk. The other guy talks about an Inuit person. Both are right. Although I was an Inuk before Eskimos officially became Inuit, I am now Inuit and speak the Inuit language. Whereas I used to speak Inuktitut. What does square dancing have to do with the Inuit culture? It was brought here by Non-Inuks (pun intended). Why not real cultural activities like drum dancing, throat singing and Inuit games? I interpreted the comment in the article about cultural activities differently than you did I guess. Cultural activities are a two-way street. Many of the new Inuit employees will be working in a majority non-Inuit environment for the first time and would benefit from understanding their co-workers, as would co-workers from other parts of Canada benefit from understanding their Inuit co-workers more. 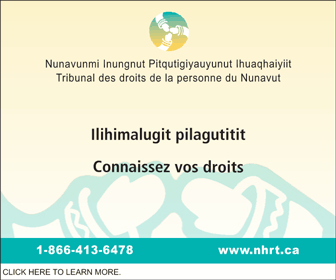 We spend a lot of time talking about cultural training for ‘transients’ (an ugly word that) in Nunavut, but we my experience has been that many Inuit are really quite ill-informed about, and have very little experience with, the various other cultural groups in Canada. Cross-cultural activities at these mines will benefit everyone, and can only be a good thing. Sorry Bernie, but your claim is not based on fact. This planet includes other areas of world. According to the St. Louis Federal Reserve statistics (FRED), for Q4 2018, there were 7.2 million unfilled vacancies and 6.1 million persons unemployed. There are more jobs available than persons to fill those positions. I can’t believe a government official would make such claims at a public forum. Your stats make no sense at all. You don’t even say what region they apply to, is this the entire United States? It certainly isn’t St Louis in Missouri, they don’t have 7 million people. let alone 7 million unemployed. I would assume a stat coming from somewhere in the States with the word “Federal” in it is probably applied across the USA. Since the statistic, 7.2 million vacancies and 6.1 million unemployed, shows more vacancies than unemployed, the claim that 9,000 vacancies for 9,000 unemployed in Nunavut is the only place on the planet with that availability would be wrong. I haven’t fact-checked Fact-Checker’s claim, but a 1-for-1 balance of vacancies to unemployed doesn’t seem like something exclusive to Nunavut. I think Fact-Checker is being a little too literal, as I think Bernie was just trying to show that there is opportunity, even if he did make a strange claim. My point was really directed at the very critical nature of his post, while providing very scant data of his own. I thought I was being polite too by not mentioning the fact you also have to have been in the work force and seeking work, to be unemployed. In other words, people on welfare and not looking for work, are not considered in the unemployment rate. Nunavut’s participation rate in the work force is very low, which gives it an artificially low unemployment rate. This is not an apples to apples comparison at all, since only half of working age Nunavut residents are employed. control of our own opportunities? I’ve been working for aem and been wanting to get a good job. I wait and wait and am still at a entry level position. While non-inuit come in and take all the good jobs even though they just started at entry level jobs just like me. We do not have control over our own opportunities. more inuit need to be given more opportunities. What low-level employees have control over their own opportunities? You are the at mercy of the company, that is how companies work everywhere. What steps have you taken to make yourself a more desirable employee? What courses have you taken? How is your job performance? How is your work ethic/punctuality/attendance? If you reflect honestly, are you a better worker and employee than those promoted over you? Discount ethnicity, think only of your abilities, attitudes, and achievement – are you better than everyone who has risen over you? To have more control, you would need to start your own business. Then you would find that you are controlled by suppliers, customers, governments, and the market, but this an option many enjoy. Have you considered that path? I see you also endorse the same tactic corporations use, who are you supporting? Or are you just trying to buy more time so that you can continue to deprive Inuit. I haven’t ‘endorsed’ any tactics of big corporations, and I am no fan of how they operate. However, that doesn’t change how they do operate, which you and I have no ability to change. That is just the way it is, and until there is a massive change in how the Canadian economy operates, that is how it will stay. Deprive Inuit? I am low-level cog who has no ability to give or deny anything to anyone, no matter what their ethnicity. My interest is in seeing all people in Nunavut, regardless of background, be successful, its good for everyone. 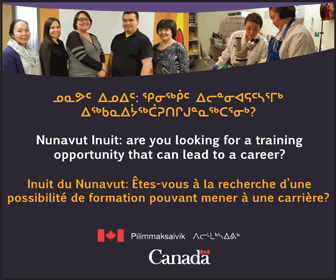 I’m also aware that there are two sides to every story, and that there are large challenges in getting Inuit employees who have both the necessary skills and work ethic, and that once hired their are even bigger challenges in keeping them as they are in such demand and have such incredible opportunity available to them. There just aren’t enough potential staff with the right combination of skills at this time, to meet territorial need, though it is improving. I can not tell you how many times I’ve seen newly hired Inuit staff become their own worst enemy. Sent on training courses and leaving part-way through, not showing up for multiple shifts with no explanation, huge absenteeism, etc. 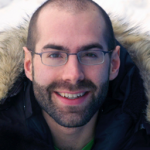 There are often reasons related to the social conditions in Nunavut, but corporations don’t deal with such things, that is the role of the territorial government. Maybe I need to learn to speak french, is that a necessary skill? Baffinland is just notorious for depriving Inuit of much opportunities so let’s hope there is progress. The main players are well intentioned but the mid to middle managers is where the problem seems to be at. 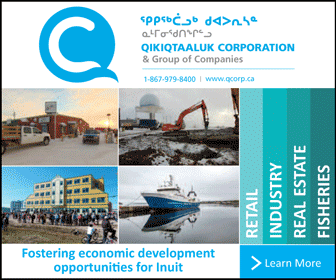 Inuit have to be given an equal opportunity, like the new hires and allowed to grow. Equality of opportunity yes, but equality of outcome is in no way guaranteed, nor is it to be expected. Employment is like school that way. A fully licenced Inuk heavy equipment operator gets to the Baffinland site to work and becomes a sewage truck helper. What use is the training then. Fully qualified from where, somewhere like NAC, or from a real training institution? Was the driver hired as a heavy equipment operator or as en entry-level position?